Rural areas can prosper online thanks to remote and location-independent work, according to Phil Byrne, author of the ebook ‘Head in the Clouds: The Location Independent Office – How to take your business or job online and work remotely from wherever you please!’. 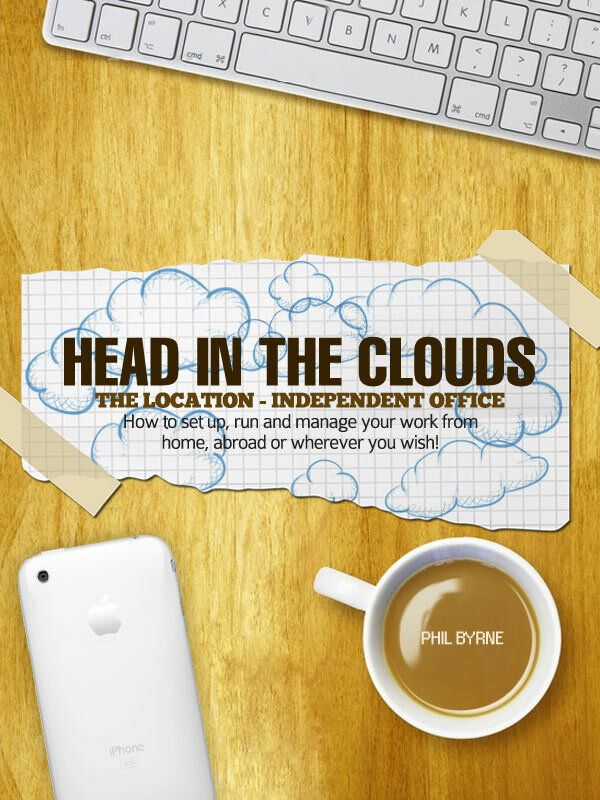 In his book ‘Head in the Clouds’, Byrne outlines the methods, software and online techniques that can enable individuals to turn their work or business totally location-independent. “The book shows how to take almost every aspect of your business/job online and give you the freedom to perform your tasks from whatever location you choose,” he explains. Byrne believes there are plenty of jobs available online and most jobs today could be done remotely. He also thinks that rural communities, where jobs tend to be scarce, could really prosper if more people move to location-independent work and businesses. Topics covered in the book include: communications, storage, backup, meetings, agreements, hiring of staff, invoicing and payments – all online using the latest ‘cloud’ based software and web applications. Byrne, who is originally from the UK and now lives in County Wicklow, has tried and tested the techniques he shares in his book, having previously lived in Argentina, the US, Portugal and Spain.